A bright, colorful site style that quickly gets attention and projects a positive feeling. Flash elements add interest and action to get the point across. Site structure is simple, presenting the minimum amount of information quickly to achieve high contact levels with minimum customer effort. 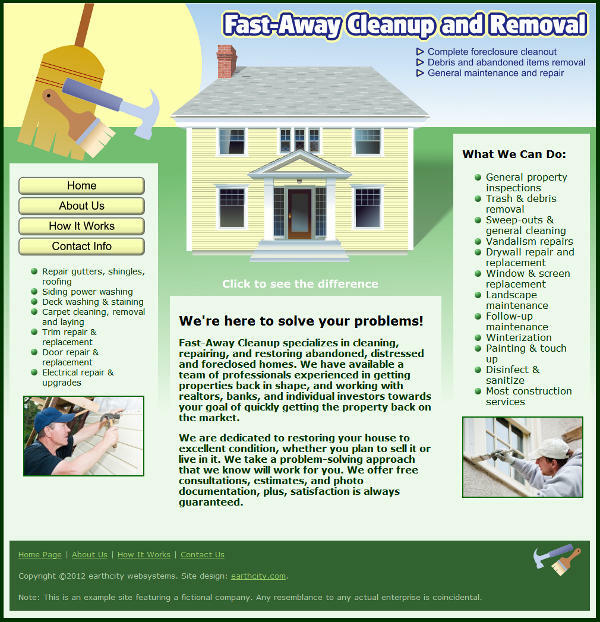 This type of site is designed for a small business that doesn't have alot of detailed information to present, but wants a professional-looking presentation.